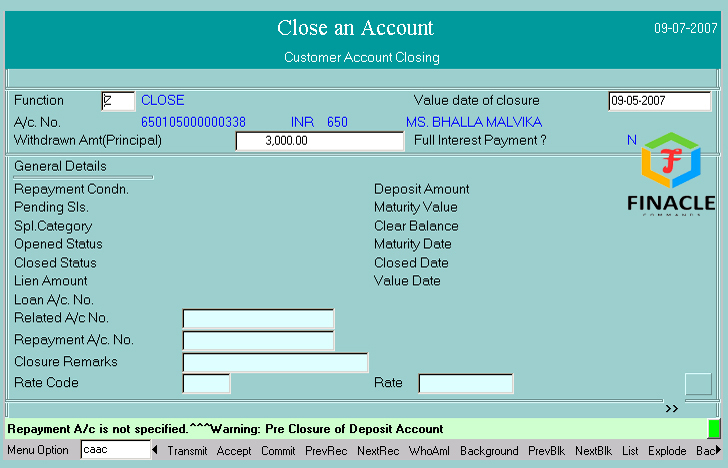 CLOSURE OF TERM DEPOSIT ACCOUNT IN FINACLE - FINACLE COMMANDS AND TUTORIALS. Your curser will appear in Function: Z (Close). Now, Press F4 again. Enter Repayment Account No., if given by customer else keep it blank. 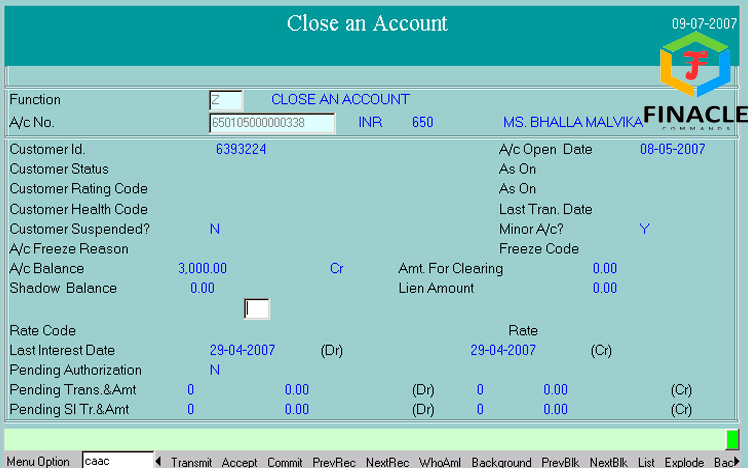 After appearing above screen Press F4. Your curser will appear in Close Option. Now Press F10 for commit. The account stands closed here. Now do the closure transaction through TM. Go to the menu option CAACAU and enter. 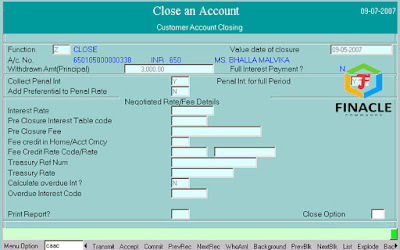 After appearing the 1st Screen accept the details by Pressing F4. Then Next Screen will appear. Verify the entered Repayment Account No. 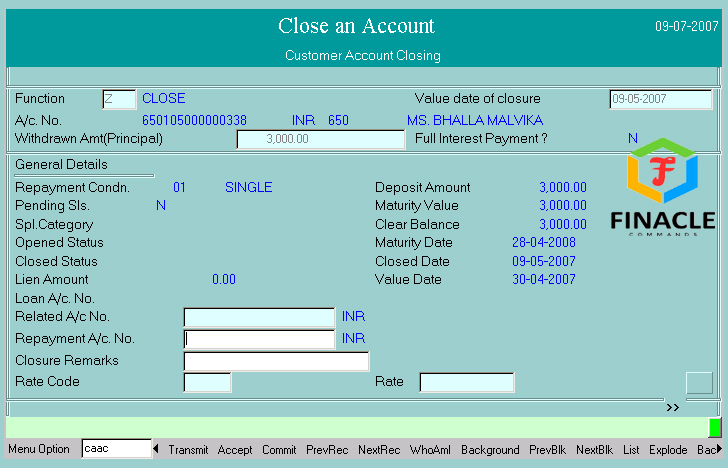 as per given by customer and Press F4 accepting details. The closure of account stands verified.